We’re not just living longer. Under a new regime which is due to kick in on January 1st, we’re also expected to work longer, with the State pension age moving up to 66 next year and to 68 thereafter. But it might not stop there. In the UK, chancellor of the exchequer George Osborne has been hinting that the state retirement age might rise to 70 – and we could follow suit. What will the changes mean to you? What’s going to happen in January? From January 1st, the transitional State pension will cease to exist, leaving anyone who is due to retire next year out of pocket. Rather than availing of the full contributory pension of €230.30 a week, those retiring will instead have to apply for jobseeker’s allowance, which is paid at a rate of €188 a week. Unlike your typical applicant for this benefit, however, claimants over the age of 62 won’t have to engage with the Department of Social Protection’s “activation” process, and won’t be liable for sanctions such as temporary withdrawal of benefit for non-compliance. They will receive their payments electronically and may not need to sign on more than once a year. However, they must still provide evidence that they are “genuinely seeking work”, such as making job applications, and they must also be available for full-time employment. For Sheena Frost, a consultant with Mercer, the “optics” of this are less than favourable. “For someone who’s worked all their life, and must now seek jobseeker’s allowance and show evidence of looking for work, it’s a mental burden on people. It’s not really what they had planned for or built up for,” she says. Apart from the obvious reluctance for people who are set to embark on their retirement to look for another job, the move also has a financial implication. For Derek Maguire, an adviser with Financial Architects, the change is a “major issue” and means that people will need to provide for themselves for the first year, or sign on for the social welfare benefit. In his experience, it means that people will likely take their 25 per cent tax free lump-sum from their occupational pension, and use this to live off for the first year – and for up to three years from 2028. “But this eats into your lump-sum,” he says. But I can always keep working . . . When talk turns to pensions, people inevitably respond with “I’ll be working till I’m 90”. While this is a whole issue in itself as to whether or not people should be expected to continue working, it may not even be a possibility for many of us. Look around you – do you think a 75-year old would be welcome in your work environment? Although under Irish law there is no statutory age for retiring from work, employers have typically mirrored their contractual retirement age with the State pension age. Until now. Indeed, a survey published earlier this year from employers’ group Ibec showed that less than one in eight of employers surveyed have increased or abolished their retirement age – or intend to do so – as a result of the change, with just over a quarter saying they “may” facilitate individual requests to keep working. Changing a contract of employment is also not straight forward, adds Frost, while there may be an issue around whether or not insurance companies will insure employees over the age of 65. In the meantime, if employees have the will to keep working, they may find there is no way to do so, which may lead to conflict. While Irish legislation does permit a mandatory employment age if it’s “objectively justifiable” it’s a bit of a grey area, and under equality law, employees who are faced with a strict contractual retirement age may be able to bring a claim against their employer for age discrimination. But I’ll always have my state pension . . . 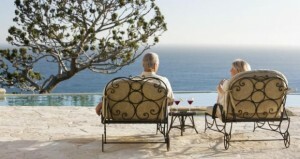 Pushing out the age of retirement is one thing – actually getting it is another. Last year, the Government changed the qualifying criteria for a State pension. This means that if you were born on, or after, April 6th 1946, you will need to have 10 years PRSI contributions to qualify, up from just five previously. Fast forward to 2020, and the qualification criteria becomes a lot stricter under the proposed “total contributions” approach. If you make the 10-year cut, then you will be entitled to one-third of the State pension, or €75.90 at the present rate. For each additional year of contributions, you will earn 1/30th of the State pension, up to a maximum of 30 years’ contribution. So, if you’ve paid contributions over 30 years, you’ll get your €230 a week. On the other hand, if you only made contributions over 15 years, you’ll only be entitled to half of that, or €115 a week. There is also the possibility that the State might push the retirement age up even further. As Frost notes, the Government has indicated that it will monitor the retirement age in line with movements in life expectancy and demographic studies on mortality. While the projected rates of mortality improvement are slower than previously thought, if they improve, it could mean a further extension to the State pension age. And then there is the issue of whether or not the State will still be in a position to fund pensions. At present, there are about six people working for every retired pensioner. By 2055, however, this will drop to just 2.3 people working to fund the pension – and all other public services – of a retired person, as the number of elderly people is set to increase, jumping by 200,000 by 2021. By 2046, the CSO predicts that the numbers over the age of 65 will reach 1.4 million – and about a third of these will be over the age of 80. Life expectancy is also expected to rise substantially, leaving the State on the hook for longer. For a person who retires at 65, this means that they could have 24 years to fund in retirement. For Maguire, the cumulative effect of these changes means that the State “will not be able to sustain the payments to pensioners”. “If you can afford to do so, you should turn a blind eye to the State pension. Any money you get from the State will be a bonus”. Faced with a deficit in its retirement fund of some €320 million, An Post has embraced the change in the State pension age. For the postal group, the longer employees work, the more money that will be generated to help narrow its deficit. In an agreement it reached with trade unions during the summer, it has extended its retirement age to 66 from January, 67 from 2021 and 68 from 2028. But, while employees will be working longer, it won’t mean that they will be able to earn more towards their pension. With a maximum pensionable service of 40 years, working with An Post for 45 years will ensure you get the maximum pension available – but you won’t get any more than if you had worked for 40 years. On the other hand, for staff who joined An Post with less than 40 years to the typical age of retirement, the move allows them build up some extra pensionable service. For employees looking to retire before the new retirement age, it will still be possible to do so after the age of 60 – but at a reduced pension rate. Take the example of someone on a salary of €40,000 retiring at the age of 65. Until now, 40 years of service would have given them a lump sum of €60,000, plus a pension of €20,000 a year. If they were to do that now, they would receive a reduced pension of €18,700 a year, and a lump-sum of €55,080. Not only that, but if they were to retire after 2028 they would have to survive on just €6,724 for the first three years until the State pension kicks in. On the other hand, waiting until you’re 68 will give you the same entitlements as you previously got at 65. Other agreed proposals include a maximum increase in pensionable remuneration of 2 per cent. The changes to An Post’s pension scheme remain subject to approval by the Pensions Board.